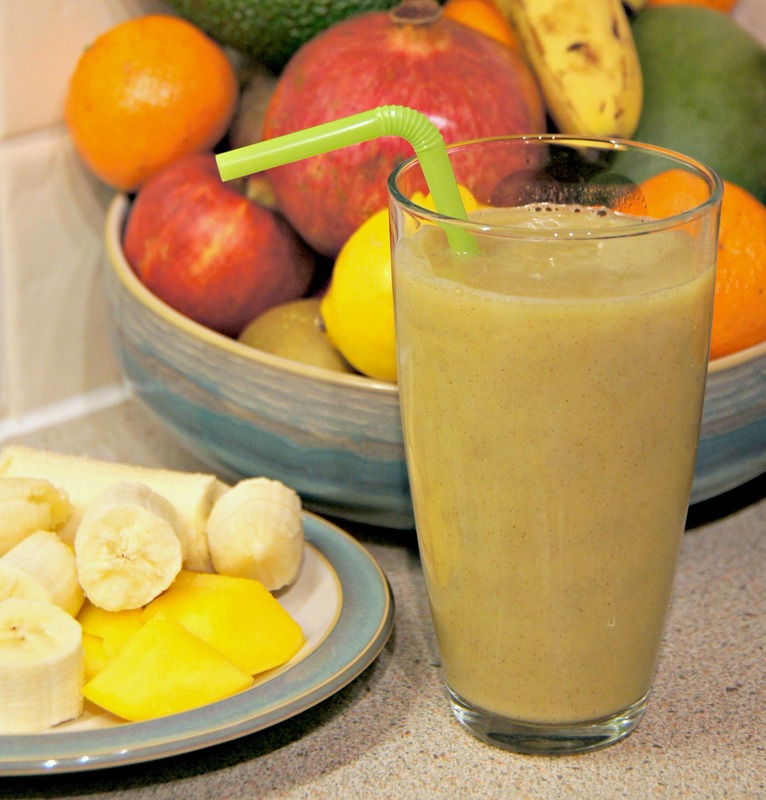 As with the Breakfast Smoothie you can prepare, cut and store the mango, kiwi and bananas in the freezer for whenever you need them, especially if you prefer a colder and thicker smoothie. This is also a great trick if you feel your fruit is going off and you will not use it in time. Never throw fruit that can be used away, rather know the tricks. If using fresh fruit, remove the skin and stone from the mango and put half into an airtight container for tomorrow or pop into the freezer for another time, cut and scoop out the flesh of the kiwi and remove the skin of the banana. 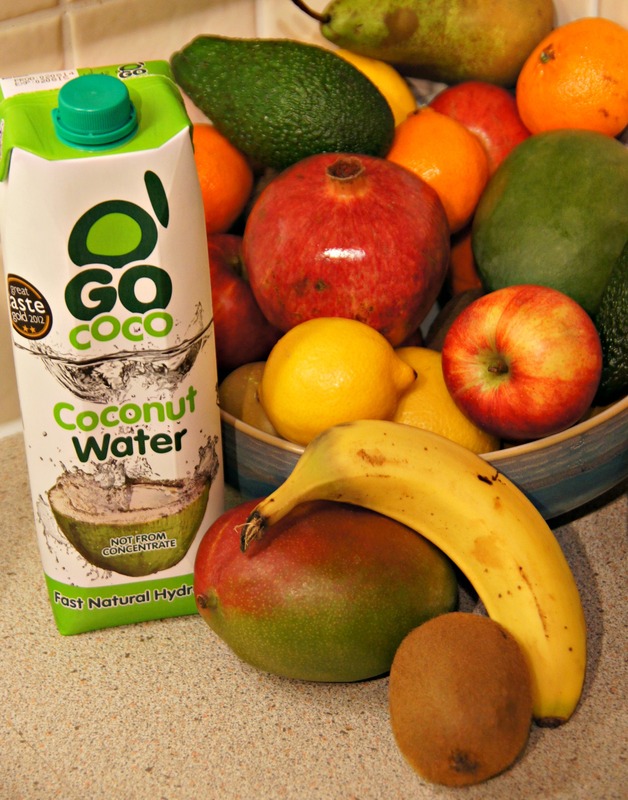 Place all the fruit fresh or frozen and the coconut water into the blender and blend until smooth. 3. Pour into a glass and pop in a straw. 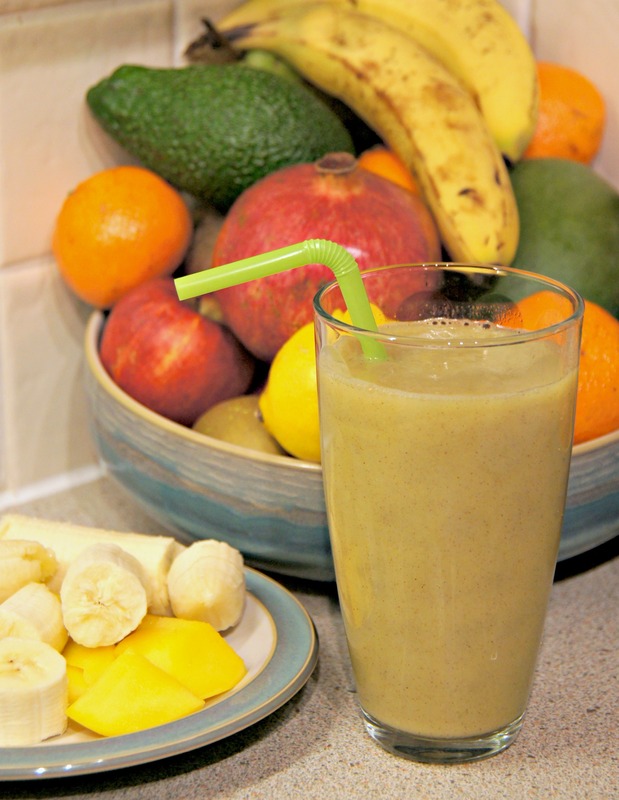 This entry was posted in Juices and tagged banana, coconut water, dairy free, energy booster, gluten-free, glutenfree, immune booster, kiwi, mango, smoothie, tropical, vegan, vegetarian. Bookmark the permalink.